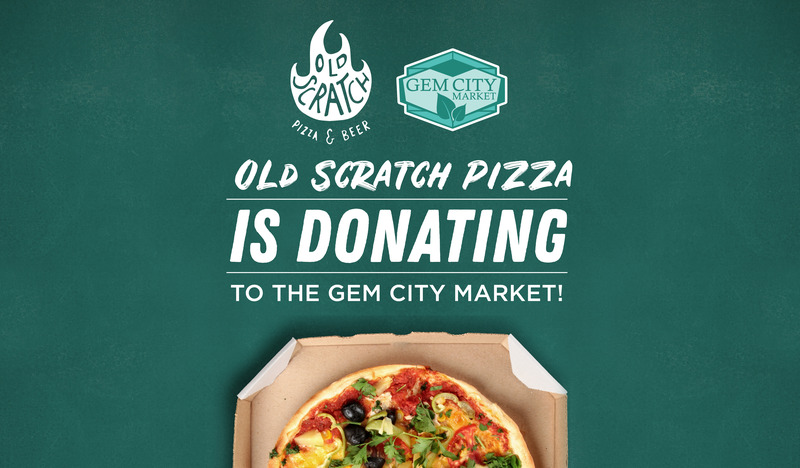 Old Scratch Pizza has chosen the Gem City Market to benefit from their December fundraisers! Join the Gem City Market in taking over Old Scratch Pizza for a night on Tuesday, December 11th! From 5pm til closing Old Scratch Pizza will donate 10% of all sales to the market! Bring a friend and stop by for delicious pizza, drinks, and dessert to support the Gem City Market! Click here for more info. All December long 100% of ice cream cone sales at Old Scratch Pizza will go to the Gem City Market! Stop by anytime this month and buy a cone for a donation of your choosing and support the market! Click here for more info.